I had the same problem on a 99 in south Alabama. I tried every cleaner in the house and nothing worked. I finally tried some TSP and it worked great. You must remove it from the car because the clean-up was very messy. I thought I would follow-up to the post I added back in March 2010. I used Sol-U-Mel to get rid of the stickiness on my '99 Honda Accord center console. I was afraid it might come back after the hot summer in Central Florida. I am happy to report that it did not! The Sol-U-Mel seems to have done it. Yeah! 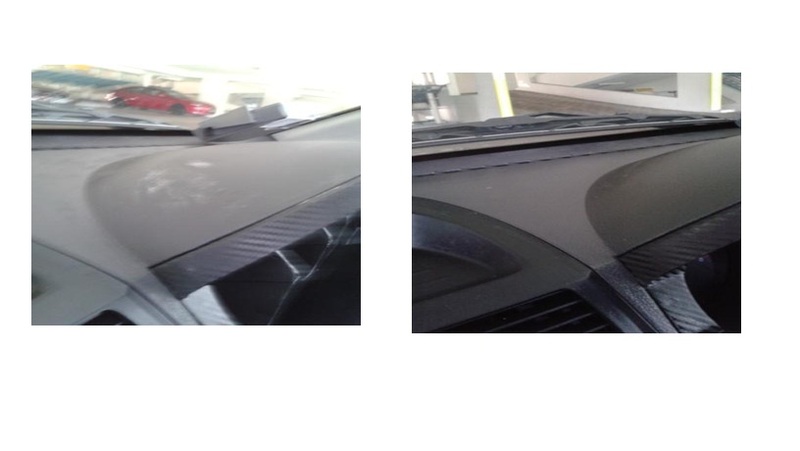 My wife's 2000 Accord has the same sticky residue on her console and after trying every cleaning product I could think of, heeded your advice. After about 2 hrs of soaking, scrubbing, and washing with Sol-U-Mel, the stickiness is GONE!! I had forgotten what all that plastic looked like clean!! Thx for the tip!! I had this problem too. I ended up scraping off the layer of gunk with a razor blade, and then applied Armor-All. Kind of troublesome but it worked well. It seems not to have recurred. got the same problem as most car owners. The youtude on fixing sticky melting dashboard will be a faster way to resolve the problem. I had my done one year ago. It doesn't come back anymore. I've delt with the sticky console for quite awhile.. I think I used Armarol on it and it became sticky.. I also live in hot climate, south Florida. Anyway, after reading many posts and seeing different chemicals people were saying would work.. I used plain old rubbing alcohol. It worked great!! It removed all the black gooy substance. I used a few rags and a small bottle of rubbing alcohol.. I did another go at it. With a tooth brush in the corners.. It looks great and now I can finally use my console.. Good bye sticky goop. The thread might be dead but I would like to confirm that rubbing alcohol does work very well. Thank you Pdub2ftl for that piece of advice. My 2001 Honda Accord has the same sticky console & the horn area of the steering wheel. Can you tell me if the rubbing alcohol solution was long lasting? Anybody else have this problem. The whole console is very sticky. This is my 2nd accord and the first had the same problem. It is the area by the cup holder to the compartment for storage. ANY CHEMICLES WE CAN USE TO SOLVE THIS PROBLEM. I used full strength Murphys oil soap and it got all of the sticky stuff off, but it takes a little work. Its the only thing I found that worked.